I made a basket block for the WMQG block exchange. Each meeting they do a different block. 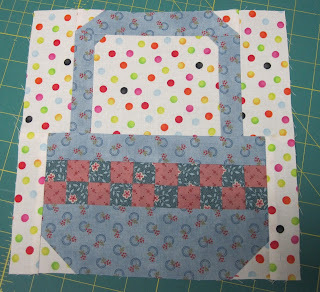 Everyone that makes a block gets their name put into a drawing and depending how many blocks they get you might end up with 4 or 6 blocks to make a small quilt! It has been awhile since I made a block to exchange, I'm glad I took the time to do it. Its all about participation! !